Popplet is a platform that allows us to share our ideas (collaborative mind-mapping). It's free but we need to sign in to use it. 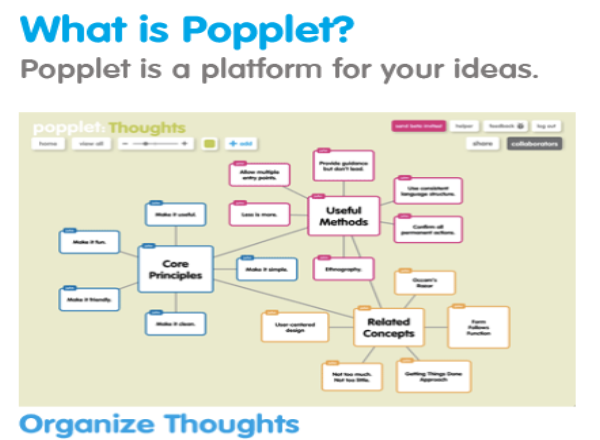 Popplet | Collect, curate and share your ideas, inspirations, and projects!